Are you looking for a special way to welcome a baby girl into the world? 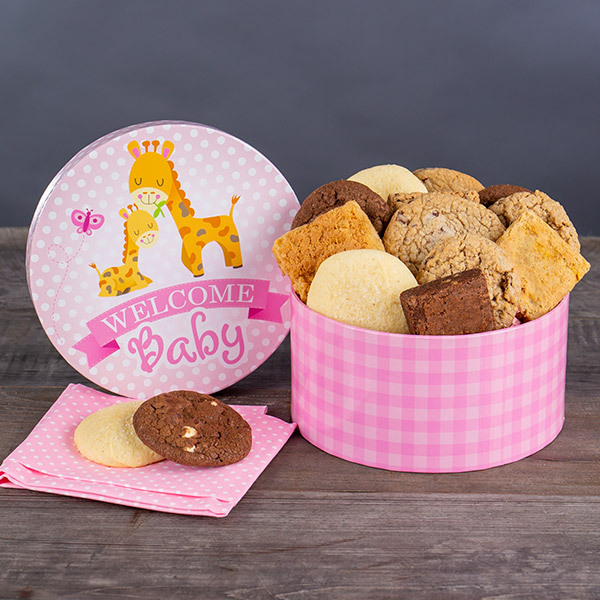 This Welcome Baby Girl Brownie Gift Box will certainly hit a sweet spot! We’ve taken the best gourmet brownies we could find and packaged them up in this pretty gift box. This is the perfect way to give the new parents a boost and put a smile on their faces!